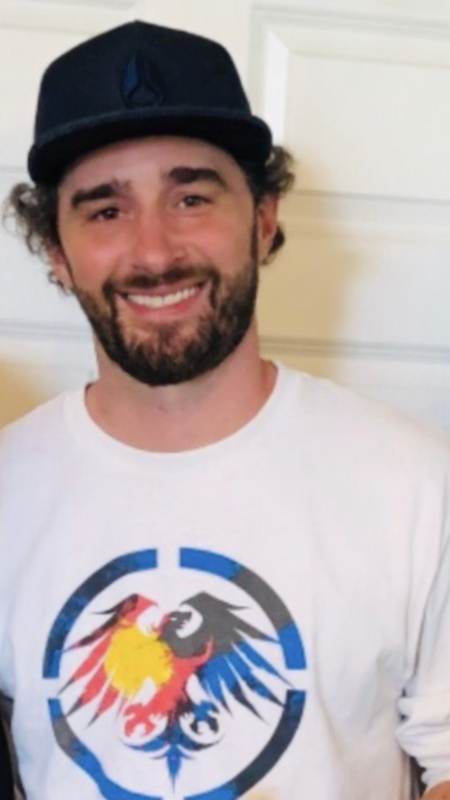 Jason White of Denver; Departed on April 6, 2019; Jason grew up and spent most of his adult life in Colorado. He earned his degree in Industrial Engineering and applied it towards his career as a designer for Never Summer Industries. This was a great fit for him, as it tied two big passions of his life, the creative artist in him, and his love for the mountains and the outdoors. His quick wit, fun spirit, and kind heart will be missed. Jason is survived by his brother Daniel and parents Rick and Jane. Memorial Service: Grace Chapel, 8505 S Valley Hwy, Englewood, CO., Monday April 15, 2019, 11:00 A.M. followed by a reception. I miss you and love you little brother. I still can’t believe that you’re gone. I wanna call you right now and hear your voice. You’ve been my best friend for a long time and i will never forget all of the great times we’ve had together. You were there for me through some rough times and i wish i could’ve have helped you pull through this. Rest In Peace. Words will never say enough, our monthly phone talks, or inside jokes, even the days we sat and ate lunch on the curb at Never Summer talking about life and issues will be missed, but never forgotten. Always will be remembered as a friend, but even more as a brother. RIP brother. I am Pam Osendorf’s sister (John’s sister in law). My heart is broken for you. I pray for your peace and strength with the loss of Jason. I am so sorry. Just know that there are a lot of people in MN thinking of you all. Jason had such a great smile and could always make me laugh. We spent hours together just talking and laughing. I’ll miss playing terrible golf with you, lighting fireworks off on the porch, but most of all, I’ll miss your big smile and open arms saying Meesh! every time I saw you. I wish I could have helped you through this, my friend. I love you and you’ll forever be missed. RIP. We are holding you up in prayer for your comfort and peace at this difficult time. Psalm 34:18 “18 The LORD is close to the brokenhearted and saves those who are crushed in spirit.” Praying His steadfast love, and the love of those around you, provide comfort and solace during this time of grief. I have always considered you and Dan my brothers and best friends growing up and still do. I will always remember the fun times we had together and the kind Hart you gave to everyone you met. Love you Jason miss you my friend. Thank you for blessing us wile you where here and thank you for saving me countless times. I hope you can Rest In Peace now for you are greatly missed. Watch over us now until we meet again. Thinking of your family, Rick and Jane. We are so, so sorry. Word can’t express enough. Jason, you were such a sweet, kind and gentle soul. My heart breaks for you and your family as you were taken from this earth too soon. I can’t beleive you are gone. Paint the heavens as you fly with angels. Rick, Jane and family. I just learned about Jason. I sm deeply sorry for your loss. Please know that all of you are in my thoughts and prayers. Praying for you and your family. There are just no words for this difficult time. My deepest sympathies for you. I’m Praying for GODS comforting arms to hold you and give you Peace . I will keep the wonderful memories very close to my heart. I’m thankful for always being there for Keyon., for introducing him to your family and loving him in the way God expects us to toward one another. REST now Jason and Know God always forgives us. I will miss you on our annual trip to CO. Hugs, kisses, and peace. Jason made me laugh and smile on a daily basis. He made coming to work enjoyable. He was one of the smartest guys at Never Summee and his talent made a difference with the product, which makes a difference in people’s lives worldwide. Jason was always so kind to me, I will always remember and miss him. Rick, Jane and Dan – know that we are keeping you in close thought and prayer. Sending all of our love your way. Our thoughts and prayers are with you. We will be with you in spirit as you celebrate the life of Jason. Our hearts and souls cry out for you in love and support for one special man who touched so many. Prayers for comfort in your loss and grief. I’ve known Jason since he was in Junior High. He was such a great friend and support for our daughter Leanne and her daughter Alyvia. Leanne died December 7th 2017 and he was there for her funeral to support our family and friends. I am so sorry for your loss and know this will be a long journey, you will be in my prayers. Jason, I remember an occasion from your youth when you and several of your cousins performed a comedy routine for the family called “The Flushbusters.” It was hilarious, and I still laugh whenever I think about it. Your wit and sensitivity led to many friendships, the greatest of treasures. We’re holding you up in prayer, Jane and Rick. Our hearts go out to you in this difficult time. God will comfort you and give you peace. We love you. I will always remember your love and compassion for people and animals, Jason. You taught so many of us about unconditional love. Thank you for being such a wonderful friend to many. I pray that your Zara will be taken care with love and kindness. I will miss you so much, Jason. Please watch over us. Any type of loss at this age is devastating. We are sorry to hear of your tragic loss. You are in our thoughts and prayers. Dearest Rick I am truly at a loss of words, I can only imagine what you and your family are enduring. You are an amazing man and it shows in the fruits of your labor through the lives of your children.Take comfort in knowing during Jason’s life his presence taught those he encountered to live life in the moment without waiting for tomorrow. After his untimely death, his absence has taught you to live life like there is no tomorrow. Take comfort in the stars at night, the brightest of them all will be Jason looking down on you and all he loved.Prayers and our thoughts at this very difficult time. You are constantly in our thoughts and prayers. There are just no words to explain how we feel. You will see Jason again, and what a blessed day that will be. Our prayers will continue for peace and healing for you all. I am so very sorry to hear of your devastating loss. I send you strength and as much peace as possible during this difficult time. We are so very sorry to hear about Jason. Please know we are all thinking of you all and keeping you in our thoughts and prayers. Hugs to each of you!! Jason, my heart is broken to be in a world without you. Your kindness, humor and compassion were unsurpassed. I am so lucky that I got to have you as a friend for most of my life and will miss you and reminisce on the fond memories of our time together, forever. I know you’re at peace and in heaven now, and I’ll see you again one day. I love you! I can’t imagine what you are going through right now. I’m so sorry for your loss. I miss you so much brother! I can’t believe you are gone. I wish I could see you and talk to you again. You were truly such an amazing friend. Your family is amazing and I see where you got it from. I remember hanging out or talking on the phone and my chest hurting from laughing so hard at the stuff we talked about. You were such a creative and talented guy. I felt like whenever I had a question about something you would always have the answer or solution. You were always there for me when I needed you. Be free my friend. Rest In Peace. I will never forget you and you will always be in my heart. Jason. Damn, brother… You have no idea how much I’m going to miss you. And that’s selfish. I’m sorry for whatever you felt you couldn’t overcome. My heart will forever have a piece missing. Thank you for my driver. (I’ll never hit another one) I will cherish every memory that we shared together. You were awesome, honey!!!!!!! Dear Jane and Rick. We are so deeply saddened by the loss of Jason. We have been praying for you all. May Jason rest in God’s eternal peace, and may you be comforted by all your beautiful memories of his life. My heartfelt sympathy for your loss. I believe he is being taken care of and loved by his grandparents and other relatives who have already passed. I am sending my prayers out to you. I was so saddened to see this news. While we have not been in touch in years, Rick, you still have a special place in my heart as a friend from our youth. You and your family will be in our prayers that you may all come to feel the Lord’s peace and love at this sad and tragic time. May the Lord be with you all. Jason, we knew you briefly, but we will remember you always. We are sending love, prayers, and hugs to all who are feeling this loss. My deepest condolences to the friends and family of Jason. May your treasured memories bring you joy, and may ‘the God of all comfort’ give you strength, along with a measure of peace for your grieving hearts at this most difficult time. Jason. Damn, brother… You have no idea how much I’m going to miss you. And that’s selfish. I’m sorry for whatever you felt you couldn’t overcome. My heart will forever have a piece missing. Thank you for my driver. (I’ll never hit another one) I will cherish every memory that we shared together. You were awesome, homey!!!!!!! Jason you have crossed the veil to the other side. You now have the eternities to carry on with the next phase of your existence. We are sad you have left us here to go on without you, but I know you are in a better place. This Easter season will be bitter sweet because you’re gone, but we know you are still with us because of our Lord’s resurrection, promised to everyone. I express my deepest sympathy to your loved ones. May comfort find a place in their heart’s to move forward in this time of grief. Dear Rick, Jane, and Dan–We join with you and so many others writing here in mingling smiles and tears as memories of Jason come back to mind. We were very lucky to have inherited your family when Dave married Jennet. That made for wonderful family get-togethers, with lots of love and fun and good food being shared. The boys had great times together–Jason, Chris, and Dan–and in turn brought much pride and joy to the rest of the family. The old picture albums will keep re-telling the story of those early years, extra-blessed by the antics and challenges of our children and siblings. Our prayers are with your family now, and Jason’s many friends, asking for the presence of the peace of Christ to fill us all…and now especially Jason in his new home. Rick and Jane and Family, I am so incredibly sorry for your loss. Words are not sufficient. I am praying for you, and holding you close to my heart. Rick, Jane & family…we have no words! Our hearts are broken for you and we are praying for God’s comfort and strength! I think the scriptures are unclear about exactly what heaven is. I know this-that there is no pain there, and so the struggle for you is over. If heaven is the best things of earth, then I hope you and Sawan finally get your day on the water. You guys catch some big ones until I join you. Tight lines, my friend. Rick and Jane. My hearts breaks for you and I’m am so sorry for your loss. Praying God’s supernatural grace and comfort over you all. Rick and Jane, Words can not adequately express how sorry we are for your loss. As you draw near to the Lord, we pray that he will give you His comfort and peace that surpasses all understanding. I didn’t write it in my memory of you. But, you would’ve been the first person I contacted after Tiger won yesterday. I truly hope you had a great view, my friend. I’ll always love and miss you. ✌I’ll see you later. As your folks so perfectly put it. Rick and Jane – Claire and I send our deepest sympathies and condolences to you and your family in this difficult time. Praying that you find peace and strength to support each other and your family. Thank you for your friendship and the guidance you and Jane have shown Claire and I through the years. White Family, I am just so sorry for this loss. My thoughts will be with you all. Dear Jane and Rick, in hearing of your loss of Jason, it is hard to imagine your pain. Like all families when raising kids, there were lots of joys and struggles, and you were always caring parents. Jason became a wonderful guy and impacted so many others on his journey. I know your faith and strength will continue to carry you. There is peace in love and comfort in friendship. Many thoughts and prayers are with you from me. So sorry for you. There are no words that can take away your pain. My condolences to the family and may God’s grace be with all of you.